Betty Mae Bowman, age 75 of Brunswick, Ohio passed away Tuesday, January 9, 2018 at Hospice of Medina County. 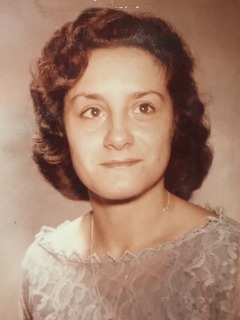 She was the beloved wife of the late Ralph D. Bowman; mother of Carmin D. Bowman and the late Ralph D. Bowman, Jr.; twin sister of Mary Jacobson; grandmother of Maci A Bowman, Nina L. Bowman and David T. Bowman. A memorial service will be held at 4PM on Saturday, March 10, 2018 at St. Emilian Church Hall 1231 Substation Rd. Brunswick, OH 44212. I love you and I will always remember how you loved all of us. So sorry for your loss. She was a wonderful person. You have my deepest sympathy and prayers. Aunt Betty you always made us laugh and made us feel loved. Betty, you are so missed by me and Al, our kids and the girls. You were such a loving and thoughtful sister-law, aunt and great-aunt. I don’t think there was a time when we talked that you didn’t make me laugh. Prayers for Carmin and all the family. Betty had a heart of gold and magic hands that made wonderful pastries. She made my beautiful wedding cake and every year I could count on a package of Betty’s vanilla and anisette pizzelles. I will miss her. She was also a great step mother to me, and I miss her like crazy already! My kids, Sabrina and Joshua grew up knowing her as gramma “Betty Boop”, as well as her great grandchildren, Hope, Joe, Hannah and Kayden…we weren’t blood, but most definitely family…. We love you Betty Boop!! Give my daddy a big hug from me! !